Club Roller Hockey traveled to Feasterville, Pennsylvania on Saturday, November 17th, for a three game tournament. 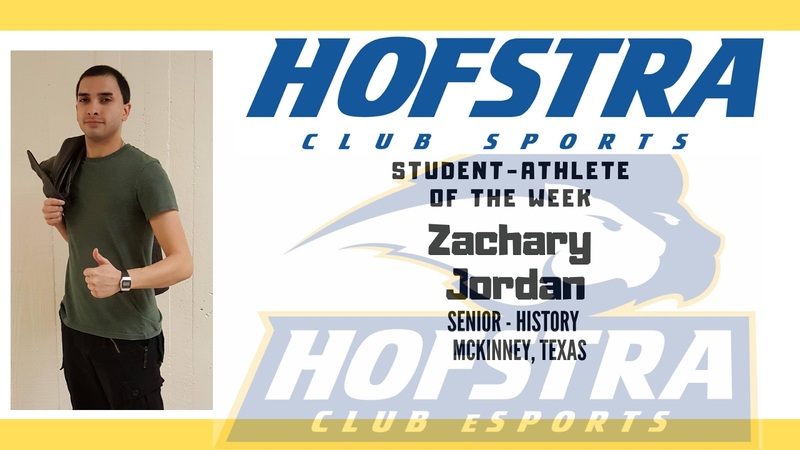 Hofstra defeated Baruch College (11-5) and Yeshiva University (3-2), while falling to SUNY Oswego (6-3). Andrew Gagnon had 8 points (4 goals and 4 assists) as he helped the Pride improve their record to 5-3 on the season. Club eSports raised over $200 for Extra Life, a charity organization supporting local children’s hospitals, on Sunday, November 18th. Zach Jordan achieved a new personal best time of 16 minutes in his run of “Into the Breach”, which was just 15 seconds short of a world record! Club Climbing ventured to Brooklyn Boulders on Saturday, November 17th for a difficult climb. Overall 19 club members were in attendance and one member got belay certified as the club challenged themselves all day with harder top roping routes. 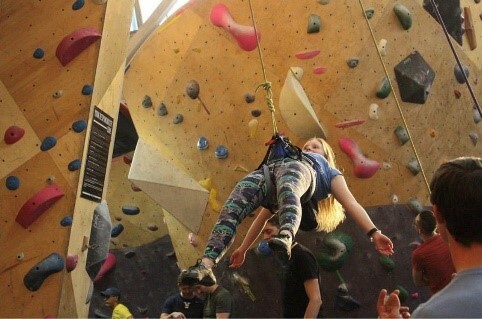 Club Climbing in action at Brooklyn Boulders on Saturday, November 17th. Club Men’s Rugby visited Seekonk, Massachusetts for the Cianci 7’s tournament hosted by Providence College Rugby on Sunday, November 18th. Hofstra dropped their first two matches to 7s powerhouses Brown University and King’s College, before rebounding to defeat Brandeis University to close out the tournament. Club Women’s Rugby also traveled to Seekonk, Massachusetts for the Cianci 7’s tournament. The women entered two teams and the A-side was able to reel off 3 victories before falling to Boston University in the semifinals. The Hofstra B-side went 0-3 on the day. On Saturday, November 24th, the women traveled to Randall’s Island, New York for the annual New York 7s Tournament. The Pride would play four matches on the day, highlighted by an exciting 31-26 victory over SUNY New Paltz. 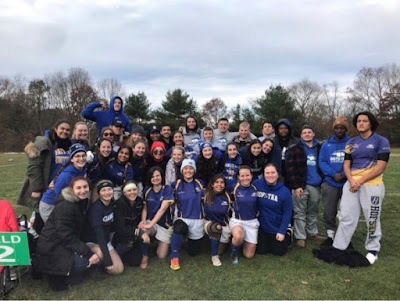 Men’s and Women’s Rugby clubs gathered after the Cianci 7’s tournament on Sunday, November 18th. Club Ice Hockey traveled to Warminster, Pennsylvania on Friday, November 16th to participate in the Empire Classic. 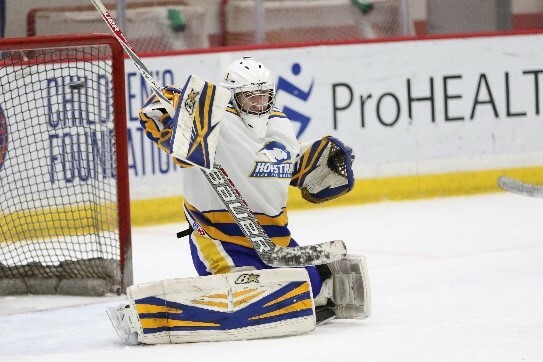 In the first game, Hofstra defeated Southern Connecticut State University 4-1 behind goals from Andrew Gagnon, Chris Serio, Eli Vaillancourt and Vinny Cacciatore. Hofstra would go on to drop their next two games against Fairfield University and Indiana University (PA) by scores of 7-2 and 6-3, respectively. The team is back in action on Saturday, December 1st at 7:00pm at the Northwell Health Ice Center at Eisenhower Park as they take on MCHC rival Fordham University. Goaltender Liam Hartenstein makes a save against Fairfield University on Saturday, November 17th. Club Quidditch played in two games against Macaulay Honors College in a tournament in East River Park, New York on Sunday, November 18th, falling by scores of 130-90 and 170-150. Club Volleyball participated in a VBLI tournament hosted at Hofstra on Saturday, November 17th. Many players were able to get their first live game action during this tournament and they all helped with refereeing and judging. Although the team did not advance in the tournament, it was a great learning and bonding experience for the club. Jordan achieved a new personal best time of 16 minutes in his run of “Into the Breach”, which was just 15 seconds short of a world record!